Armor Express HALM3AR6 Halo Ballistic System Level 3A Body Armor with Evolution Carrier FREE SHIPPING! 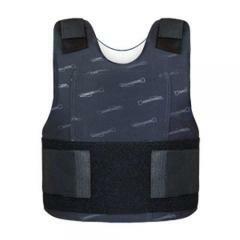 The Armor Express Halo Ballistic System is thier lightest and most flexible body armor. Coupled with the Evolution Carrier, the Halo provides first rate comfort and protection. Features full wrap side coverage,Twaron Microfilament Fibers and Twaron Laminated Fiber Technology (LFT) constructed with Synchro-Stitch technology. The Evolution Carrier System sets the mark for superior design. This carrier offers maximum comfort, breathability and wearability. ©2002-2019 CopsPlus.com: Armor Express HALM3AR6 Halo Ballistic System Level 3A Body Armor with Evolution Carrier FREE SHIPPING!